Immediately after Russian President Vladimir Putin won a fourth term and extended his rule for another six years, the Russian military held drills in Crimea and the breakaway region of Abkhazia in Georgia. The exercises seem to be reinforcing the message, that with Putin’s new term in office, Russia will not change its position on these frozen conflicts. “Russian armed forces have launched large-scale military exercises in southern parts of the country, including the Russian-occupied regions in Georgia and the annexed Ukrainian peninsula of Crimea…News agencies said around 8,000 troops were taking part in the drills, along with multiple rocket launchers, artillery systems, and other weaponry,” reports RFERL. Abkhazia and the territory of South Ossetia were won by the Russian military during the Russo-Georgian war in 2008. The Kremlin has made multiple policy decisions which confirm Russia most likely will absorb the regions slowly over time. 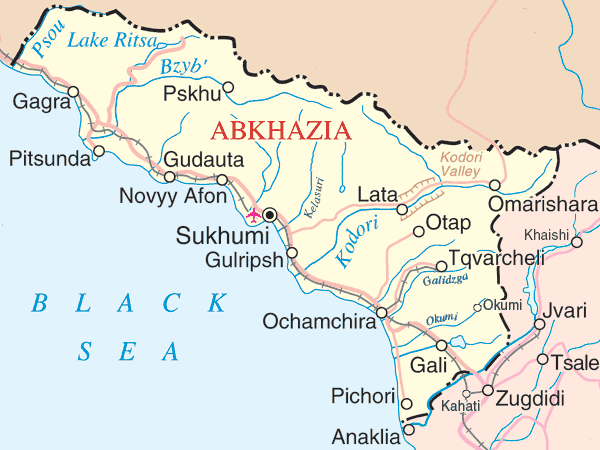 For instance, Russia incorporated some military units in Abkhazia into the Russian armed forces and disbanded others over the last year. For its part, the Georgian government has recently made overtures to Moscow to put the past behind it and not further antagonize the Kremlin. Exercises were also held in Crimea, in conjunction with the Southern Military District. The day after his election, President Putin declared Russia does not want a new arms race.